Picture the comforting predictability of the chain restaurant. Walk into any of the boxy, brightly branded eateries that cluster around shopping malls and highway interchanges and there is no question about the night you are about to have. The side salad will always come with three cherry tomatoes, the server will always suggest a dessert shooter, the speakers will always drip with the least rockin’ “rock” you’ve ever heard. The experience is meticulously designed to be repeated thousands of times every week. Now imagine the polar opposite. That’s Dinner Lab. 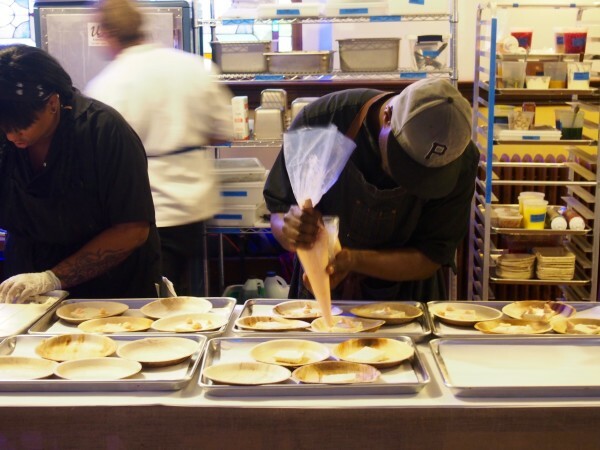 Pittsburgh is the latest city to welcome Dinner Lab, the nationwide pop-up supper club that puts unpredictability at the center of the dining experience. 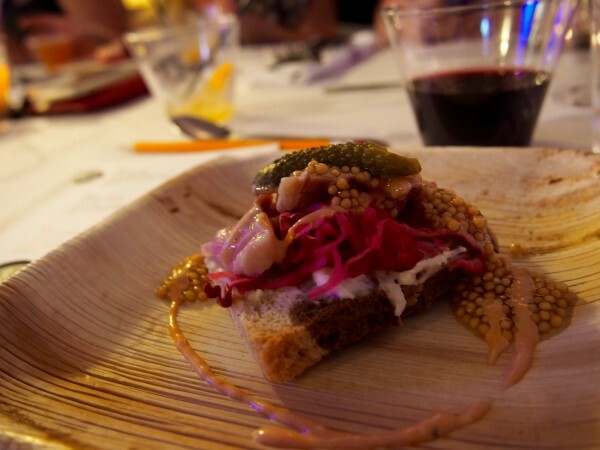 The concept is fairly simple: adventurous eaters pay an initial membership fee, which allows them to buy tickets to as many Dinner Lab events as they would like. 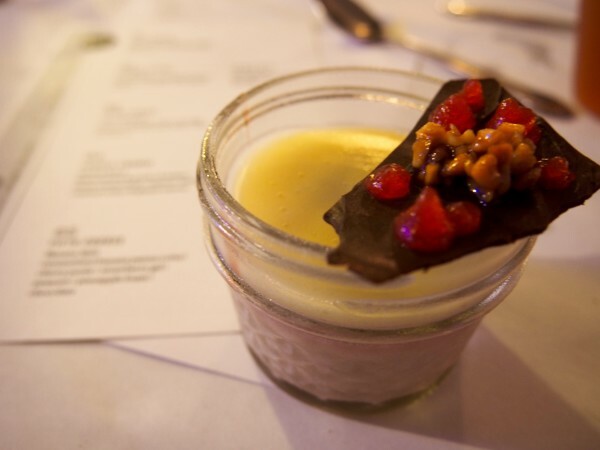 Each of those events tinkers with every variable, bringing together unconventional locations (think warehouses and helipads), brand new menus and passionate chefs of every stripe to create something entirely unique. If you’re thinking that all of this sounds awfully unstable, you’re right. But that’s exactly the point. As the name suggests, Dinner Lab is meant to be experimental, granting freedom and flexibility to chefs who are normally tethered to a specific brand of restaurant food. And a huge piece of the Dinner Lab model is the open, honest feedback invited via comment cards and direct communication with the chef. Diners are encouraged to tell them what worked and what didn’t, meaning Dinner Lab members could play a very real role in perfecting a dish that one day appears on a buzzy new restaurant’s menu. 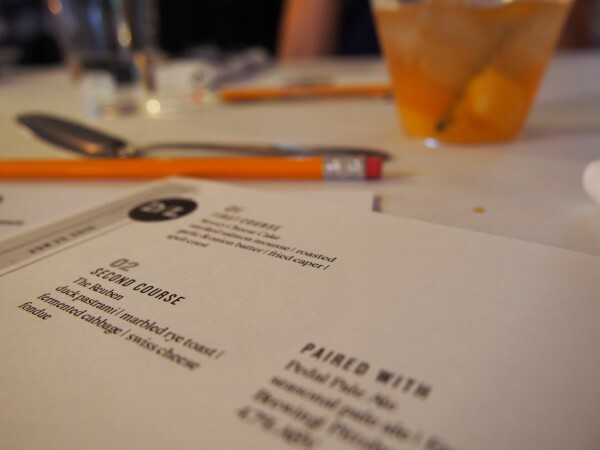 I attended my first Dinner Lab last week. This was the third event in Pittsburgh, and so far they have taken place about once a month. 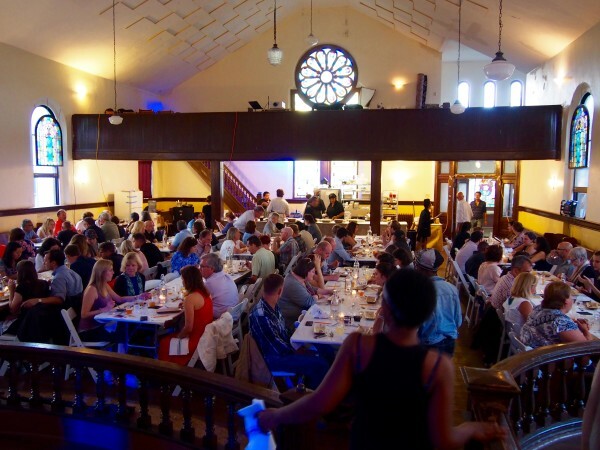 Last week’s dinner popped up in a charming old church in Bloomfield. The space vibrated with the collective energy of scores of excited diners and a staff that never once stood still, all set to the muffled bass lines of the ’90s hip hop that poured from a worksite boombox. 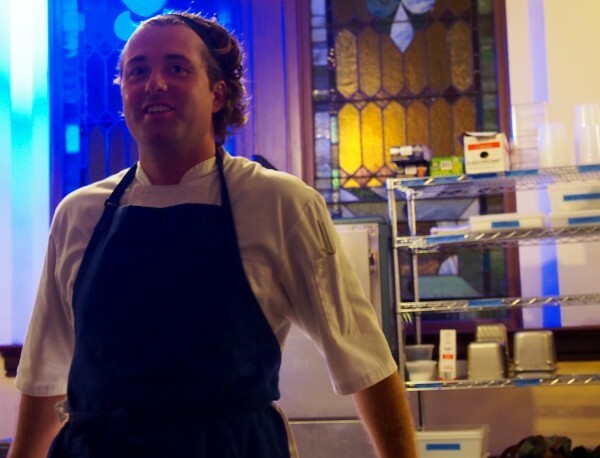 The night’s conductor was David Bulman, a local private chef who formerly worked at The French Laundry and Verde. Bulman described his menu, entitled “Strange Nostalgia,” as “a journey through culinary Americana” featuring the fare of humble Sunday suppers and (what else?) chain restaurants. Of course, those staples were nearly unrecognizable in Bulman’s hands. 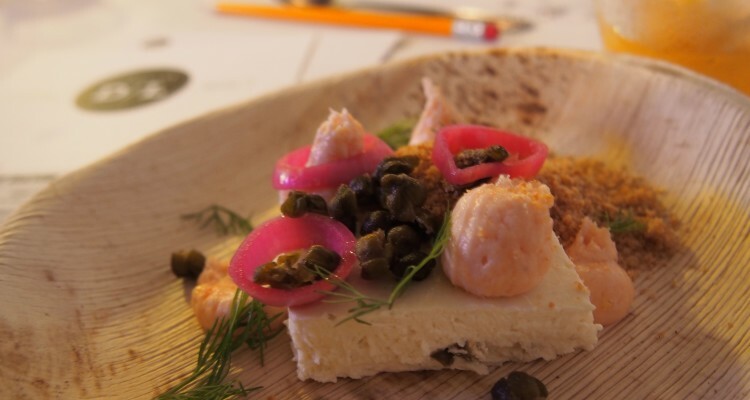 His “cheese cake,” for instance, was actually the first course, a savory dish that played with the flavors of a fully loaded New York bagel. His clam chowder was miles from the gluey Red Lobster version, pairing airy gnocchi with a briny béchamel and crispy bacon. And a range of textures and techniques turned the ho-hum banana split into a decidedly elegant dessert. The meal was delightful, though I did my Dinner Lab duty and offered a few small critiques. 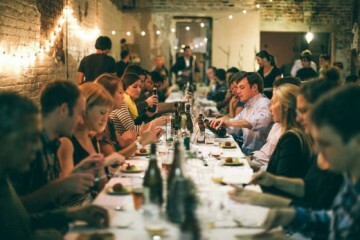 Dinner Lab is less about eating a perfectly polished dish than it is about creating community. It offers diners a chance to engage with their meal in new and unexpected ways, and to meet strangers who share their passion for food. Pittsburgh has embraced the model, and our city is one of the fastest growing markets in the company. Even with four total seatings across two nights, every event has sold out. 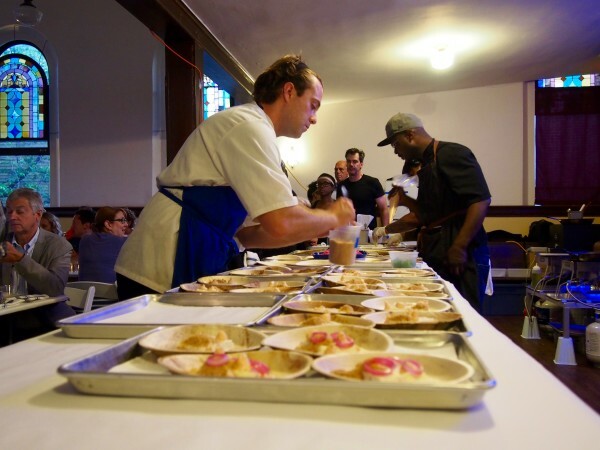 Dinner Lab plans to double the number of events by the fall, and Pittsburgh, it seems, can hardly wait. Want to know more? 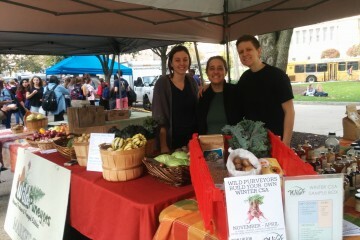 Check out Dinner Lab’s website here, or email Heather Cunningham, Dinner Lab Pittsburgh’s Community Manager. On July 23, The Vandal and Station are teaming up with Atlas Bottle Works and Brooklyn Brewery for a special five-course beer dinner. Bar Marco has launched a new food truck called Swing Truck, which features Puerto Rican street food from Chef Jamilka Borges. According to a study by NerdWallet, which looked at factors like number of breweries and the ratio of full-service restaurants to fast food restaurants, Pittsburgh is one of the best cities in the country for foodies. It’s also one of the most affordable, with the average price of a three-course dinner for two coming in at just $48.